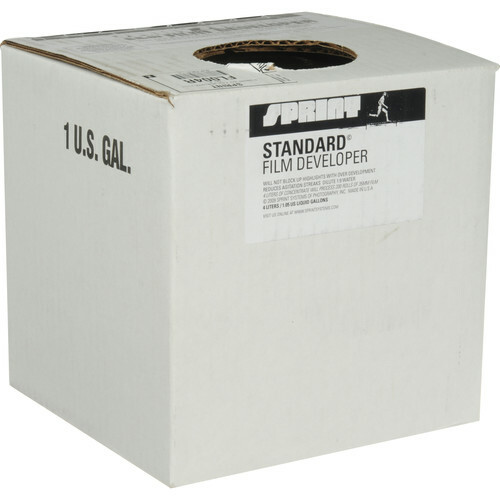 Standard film developer dilutes 1+ 9 in water. 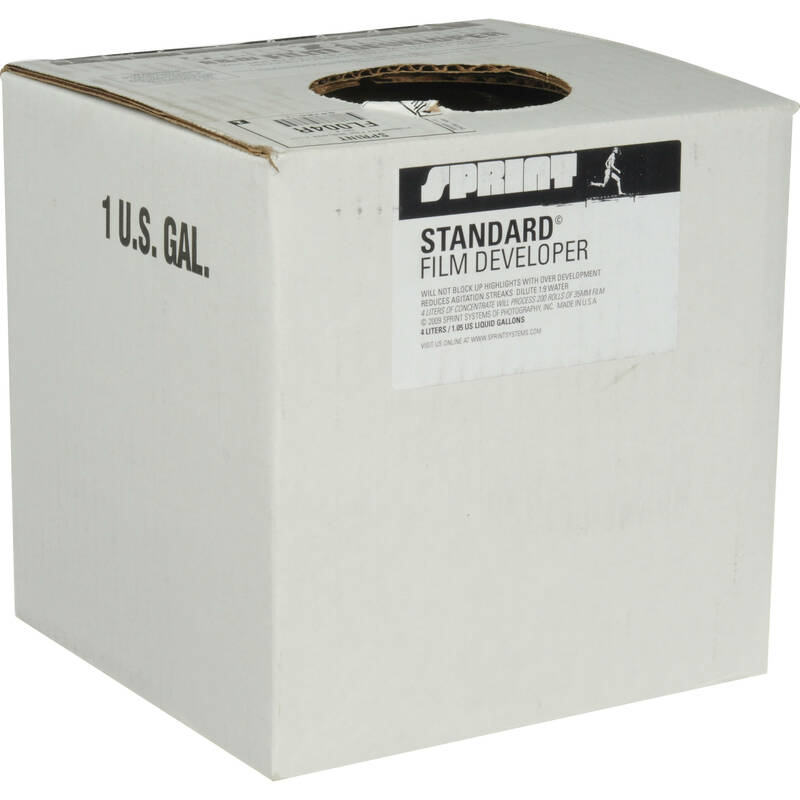 1 liter of Standard 1:9 working solution will develop 400 square inches of film (5 rolls of 35mm 36 exposure or 120 film). With Replenishment as directed, 1 liter of working solution will process ten times this amount of film. Box Dimensions (LxWxH) 7.0 x 6.9 x 6.9"